Meaning out of the secluded "ethnic" aisle of store shelves...placing center -embracing multi-cultural textures of all types. And those different types more often then not, are on the same head of hair. THEME: Carefully sourced ingredients meet exotic recipes. 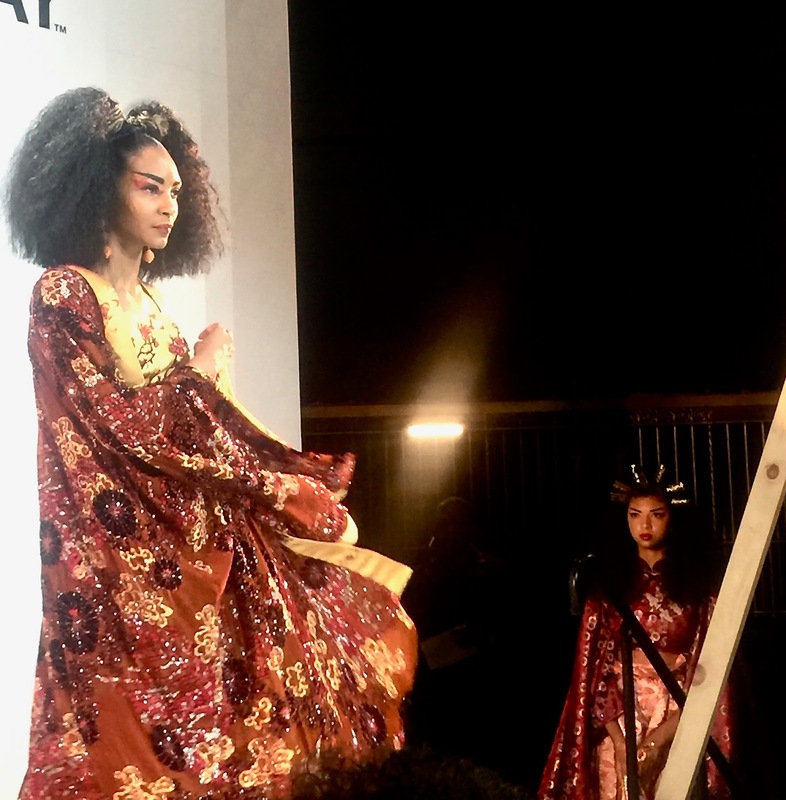 The diverse regions that create the new Around the World collection’s ingredient pallet was the inspiration backdrop to the Camille Rose presentation. The stage was transformed into a dramatic oasis of rich cultural fused interpretations using wardrobe, color design, music and the centerpiece of hair! 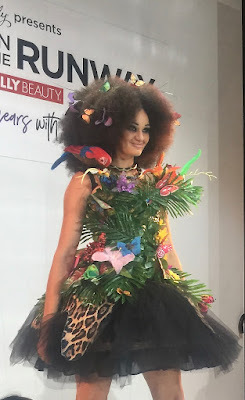 The audience was invited to take a trip with us to the Amazonian Rainforest, South Pacific and the Middle East via a sensory overload presentation; which borrowed cues from this new exotic collection of conditioning treatments and oils. The Around the World collection launches at Sally Beauty during Texture on the Runway 2018! THEME: The Faces of Cantu: Head Over Heels for Texture. We have an extremely dedicated and hardworking team, each of us doing what we love for consumers we love. 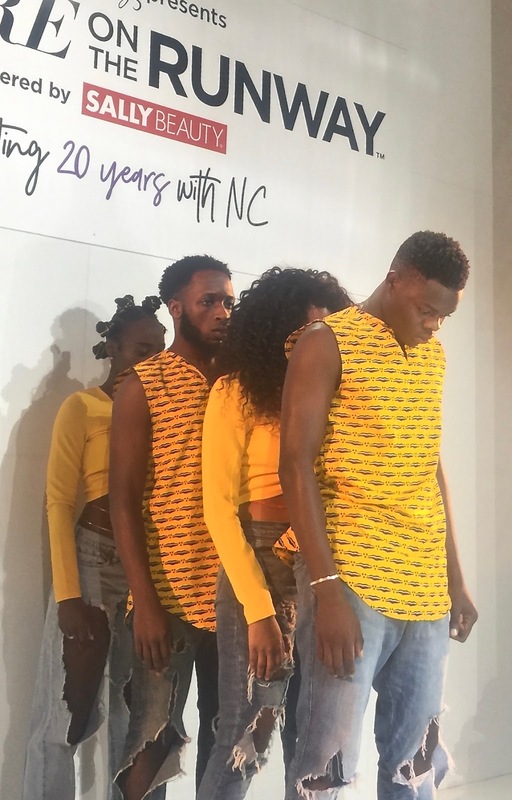 Our theme showcased that love and dedication to the textured hair movement, while putting a spotlight on some of our most dedicated team members from sales, marketing, and even one of our interns. Our stylist, Maria Antoinette is an industry icon for her creative, yet somehow achievable hairstyles for naturalistas. Our textile designer and artist, Melissa A. Mitchell of Abeille Creations, along with Tailor Soila Konchellah, decorated our team with wearable art worthy of an exhibit. Last but not least, our Stylist and Creative Director, Morgan A. Wilder is the talent behind pulling everything together for a cohesive, runway-ready show that we’re proud to bring to New YorkFashion Week with Texture on the Runway. (Note-a New Orleans style SECOND LINE exuberant dance celebration with attendees waving white handkerchiefs too...totally in the spirit of the moment). THEME: Carol’s Daughter founder Lisa Price always enjoyed spending time with her family. When she was younger, it was time spent bonding with her mother and now, she enjoys that same special bonding with her own children. For Texture on the Runway, we recreated these special moments shared between, mother, and child by using models that are actual family. Lead Stylists Derick Monroeand Gabrielle Corney using the Pracaxi Nectar style and care line to create styles that celebrated each models uniqueness as well as their family bond. (White tee/jeans clad dancers shaked/and snaked it up- street style-opening this segment with probably the best intro to runway fashion we'll see all week-and also of course-showing why hair cut and condition is key). 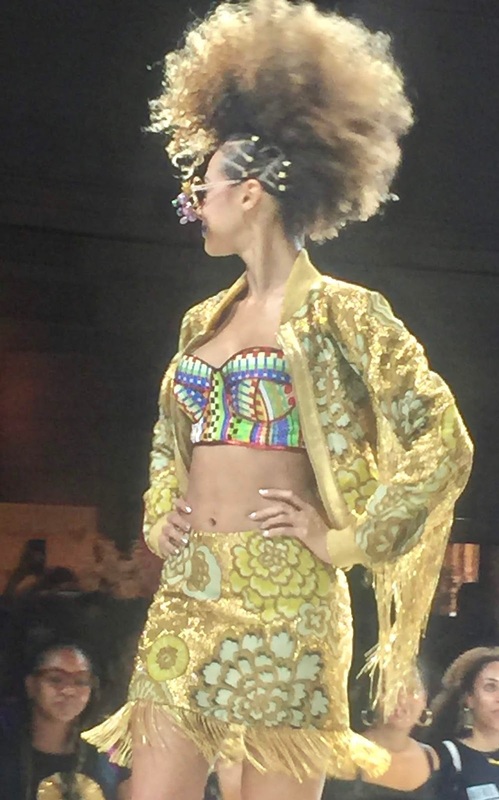 THEME: At Creme of Nature we are shifting the culture and redefining the future ofuniversal style and texture...with a bold Afrofuturism hijacking of the runway. The “Afro Punk Urban Queen” is fearless in her diverse expression of edgy street fashion,multicultural hairstyling and glow up beauty – which all reflect the glamorous ornamentation of her #BlackGirlMagic that extends to every corner of the globe. This supernatural goddess embodies a generation of boss ladies setting trends all over the world. The Afro Punk Urban Queen has grinded her way from the bottom to the top and from the streets to C-Suites, while empowering her beloved brothers and sisters on the journey. Putting it all together, Creme of Nature brought to life the Afro Punk Urban Queen ethos through beautiful clothing and fabric from De La Cruz New York, cutting- edge hairstyles lead by celebrity hairstylist Pekela Riley, Afro Beat Dancers courtesy of Nedra The Dancer, music by MPerfect Marketing Solutions and visuals by Craig Brimm to showcase our dream. 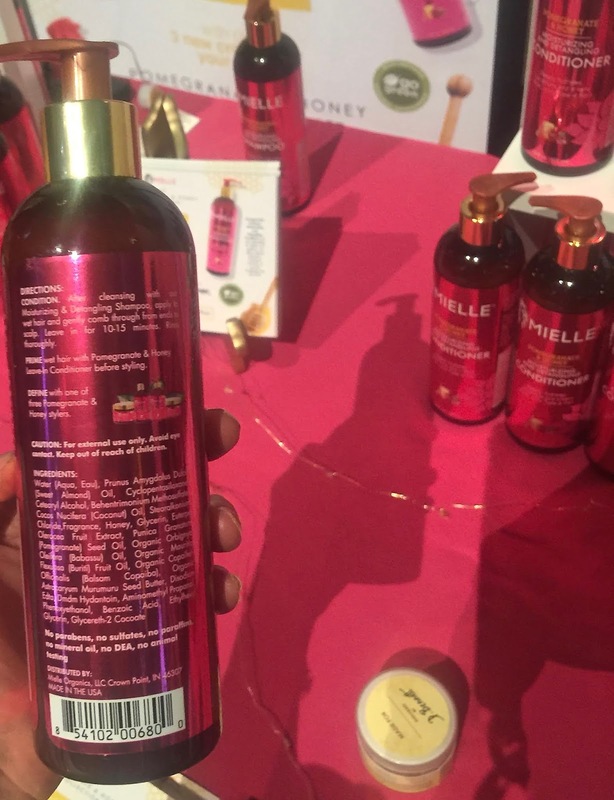 THEME: Mielle Organics hit the runway with an edgy presentation that brought the brand to life. Hairstyles and looks were crafted and inspired by the woman warriors ofWakanda. Mielle Organics’ lead stylist Key Glover delivered edgy and dramatic looks. 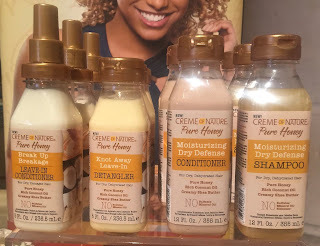 Hair was styled using the Pomegranate and Honey collection, including the three newest additions to the line: Moisturizing & Detangling Shampoo, Moisturizing & Detangling Conditioner and Curl Refreshing Spray. 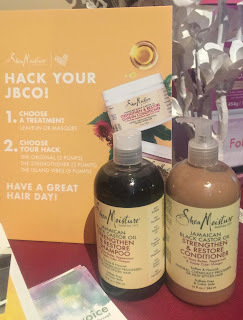 THEME: “Celebrating Our Shine,” showcased the beauty and versatility of textured hair styles created with SheaMoisture’s award-winning legacy collection, Jamaican Black Castor Oil Strengthen & Restore Hair Care. The collection provides treatment and styling solutions with natural, certified organic and fair trade ingredients for all textured types and looks. 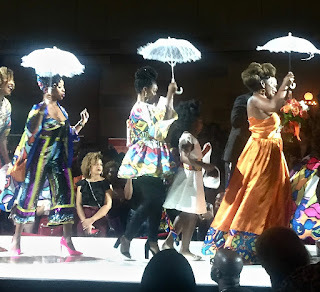 The runway presentation featured stunning styles that demonstrate the many dimensions of texture, designed with as much fashion-forward inspiration as any haute couture collection. Models were dressed in looks that brought the warmth and glow of a tropical day. Davina Bennett, Miss Jamaica and SheaMoisture Jamaican Black Castor Oil Brand Ambassador, headlined the show as the first woman to rock her afro in all its splendor at the Miss Universe pageant, being crowned 2nd Runner-Up. 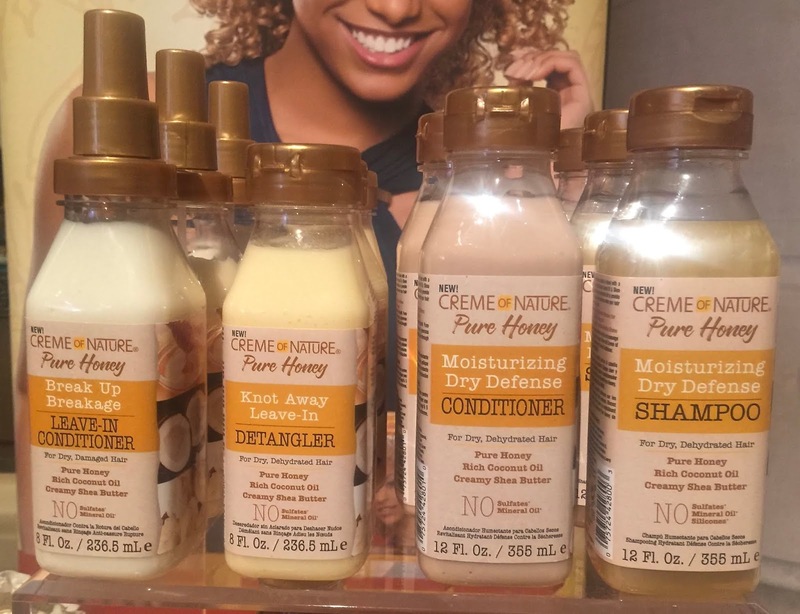 Davina led this charge with celebrity stylist & SheaMoisture Textured Hair Ambassador, Diane C. Bailey, to celebrate our shine and how texture is at the forefront of redefining the hair care beauty standard. THEME: Texture on the Runway has given so many multicultural brands in this space a platform to showcase textured hair beautifully during Fashion Week. Our goal through this partnership is to continue those efforts by showcasing how our brand is taking strides to empower and offer solutions to all textures. Supporting sponsors included: As I Am, ORS Curls Unleashed and Reshma Beauty. 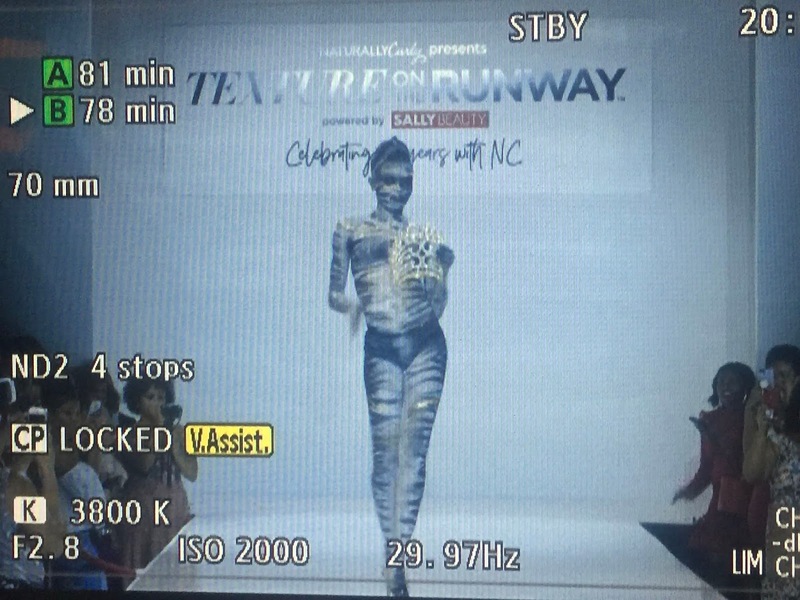 For more information about Texture on the Runway, visit: TextureontheRunway.com. @NaturallyCurly on Instagram, Facebook, Twitter or YouTube.